BASEL, Switzerland, March 22, 2018 /PRNewswire/ -- Bulova launches "Tune of Time," a short-form video series focusing on a selection of some of today's most promising emerging artists, exploring how they spend their time creating, performing and following their dreams. The series will live on Bulova's website and social media channels throughout 2018. Bulova teams up with Universal Music Group, the world leader in music-based entertainment, and the company's brand activation unit, Universal Music Group and Brands (UMGB), to share the story of these emerging artists that will include UK rising star, Calum Scott, YouTube sensation Matt Hunter, acclaimed singer/songwriter ZZ Ward, and more. A deep commitment to music, as reflected by their ongoing partnerships with the Recording Academy, Latin Academy of the Recording Arts and Sciences as well as the GRAMMY Museum, is the catalyst for Bulova's new series spotlighting the passion and creativity of emerging music artists as they work to achieve their dreams. Nile Rodgers, three-time GRAMMY Award winning music legend and Bulova's current "History of Firsts" campaign ambassador, will appear in "Tune of Time" as a mentor, guiding these artists through their creative journey. The musicians will also be integrated into the brand's upcoming music activations including the brand's Baselworld experience taking place on Saturday, March 24th, featuring a meet-and-greet with Nile Rodgers and an acoustic performance by Calum Scott. 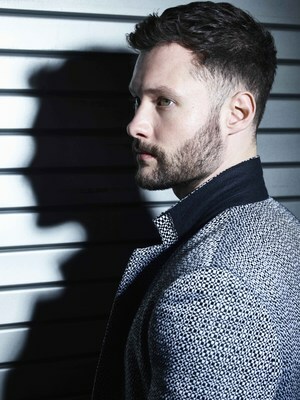 Breakout U.K. artist singer and songwriter Calum Scott's poignant version of Robyn's "Dancing On My Own" has become a global sensation and is now certified Platinum in five countries, including the U.S. It was the best-selling U.K. single of 2016 by a British solo artist and was nominated for a Brit Award for Best Single. The song has over 550 million streams worldwide, while views of the video are over 250 million. Calum's debut album Only Human is out now on Capitol Records. The lead single, "You Are The Reason" has surpassed 100 million worldwide streams, while views of the official video are fast approaching 65 million. While on his first U.S. headlining tour, Calum performed on Late Night with Seth Meyers, The Ellen DeGeneres Show, Good Morning America, and Dancing With The Stars. Colombian-American singer/songwriter Matt Hunter began posting covers to YouTube between the ages nine and twelve. His videos went viral and he traveled around Latin America building his fan base in a grass roots fashion. Around this time he was dubbed the "Latino Justin Bieber", and Marc Anthony later called him "the future" of music. At 13, Hunter released his first single, "Mi Amor". He released follow-up singles "Right Here, Right Now" and "Mi Senorita" in 2013, followed by the EP Right Here, Right Now. By 2016 he had amassed 200,000 subscribers on his YouTube channel and almost 500,000 Twitter followers. 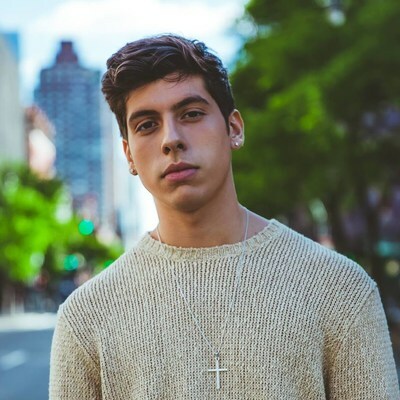 His latest release, "Amor Real", appeared in early 2017 to widespread acclaim. The powerhouse singer's genre-bending music, onstage prowess and savvy style has been called out by everyone from the LA Times,Vanity Fair, NPR, USA Today, Esquire, Complex, idolator, Vanity Fair, Chicago Tribune and the New York Times. Her latest album, The Storm, debuted #1 on Billboard's Blues chart and features collaborations with Fitz of Fitz and the Tantrums, Grammy Award winner Fantastic Negrito and Gary Clark, Jr. Her debut album Til The Casket Drops, was a critical and commercial success. ZZ's music has been licensed over 100 times and has been featured in countless TV shows, commercials and feature films.